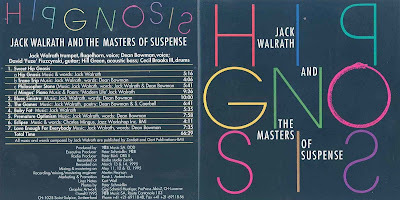 Downtown music: Jack Walrath & the Masters of Suspense : "Hip gnosis"
Jack Walrath & the Masters of Suspense : "Hip gnosis"
Walrath is a bit of a character, no doubt about it. That he so successfully collaborated with the crazed Mingus, is the first clue having titled songs on previous albums "Village Of The Darned", "Revenge Of The Fat People" and "Beer!" further steers him off the shoulder of mainstream jazz. And to this he brought Willie Nelson in to record Hank Williams" "I'm So Lonesome I Could Cry" during his two-album career with Blue Note --- unfortunately, a shot at the Big Time that never gathered enough listeners to keep him on the label. Well, he has hardly tempered his direction to gather larger crowds,. Walrath continues to point the middle finger in the direction of those who find him too erratic for their tastes. The trumpeter is incorporating more influences than ever and creatively maneuvering them into stylistic train wrecks that will attract the musically prurient. "Philosopher Stone" is bass-heavy funk-jazz reminiscent of the Joseph Bowie-led band, Defunkt. The wonderful "Blues Sinistra" offers a minor key theme borrowed from Duke Ellington's moodiest jungle music, then shifts into passionate '70s soul sermonizing by Bowman a la The Last Poets. Speaking of that decade, "Love Enough For Everybody", is soul-rock that could have been, should have been, cut during those years by War. 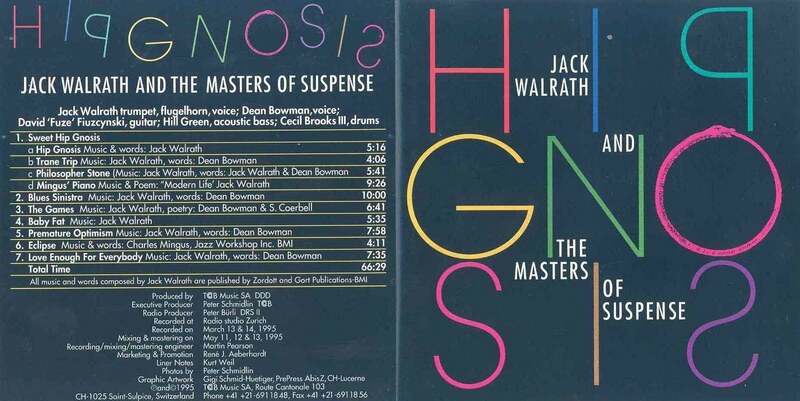 Fiuzcynski's obnoxiously distorted guitar sound on the calypso-is "Mingus' Piano" couples with the equally fuzzy vocal soapboxing by Walrath himself on issues like tap water, food poisoning and Godzilla --- you know the pertinent stuff. "The Games" ends up sounding like one of John Zorn's cut-and-paste stylistic exercised moving from heavy Chicago blues to bebop to psycho country. There's reggae jazz on the disc somewhere too --- I can't find it again, but I know I heard it. The guy's a carnival funhouse presenting a dropping sidewalk on a spinning barrel at every turn. Some will yank the disc out of the carriage due to notions sickness, other will get in line again come the last cut. You'll probably find yourself experiencing one extreme or the other.